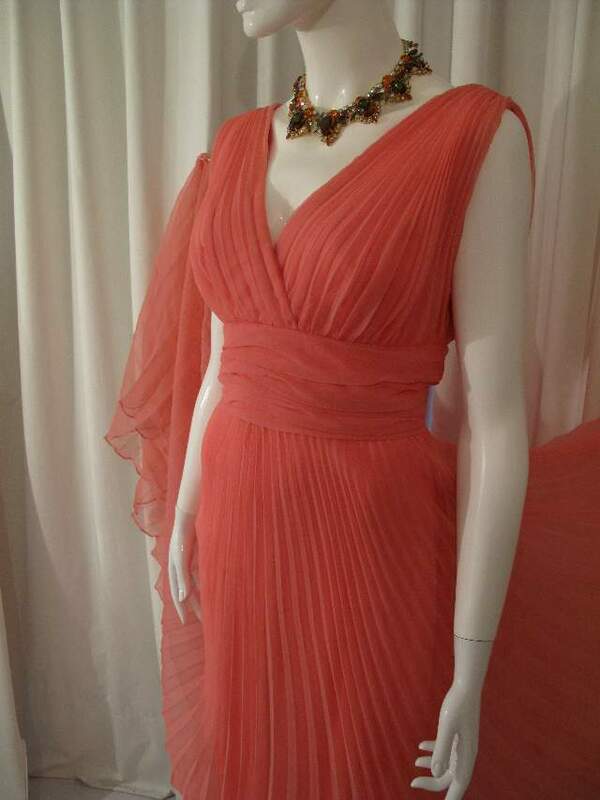 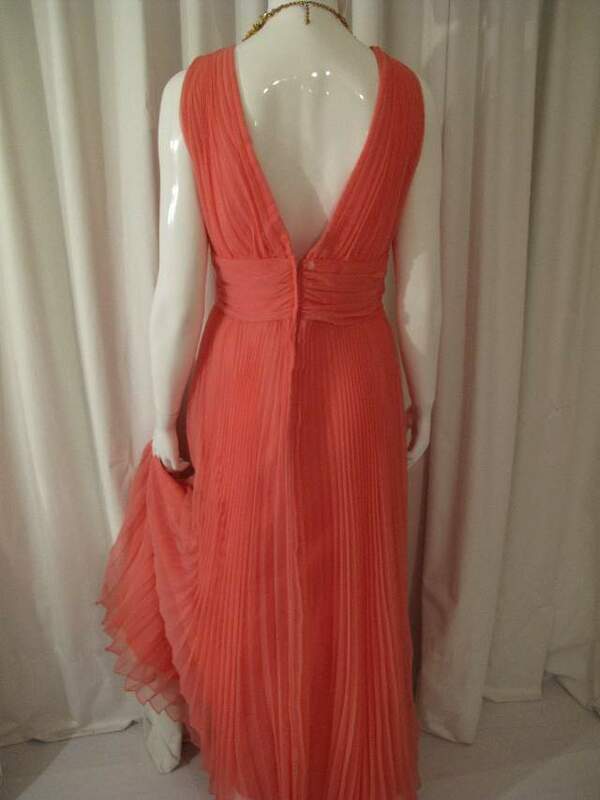 1960's Apricot crystal pleated chiffon Grecian vintage gown. 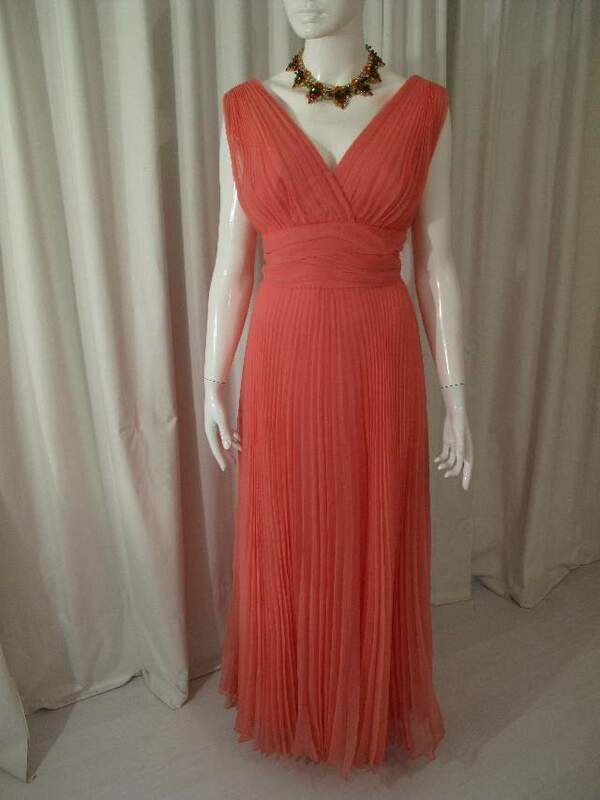 This classic and simple style gown is the ultimate flattering shape. 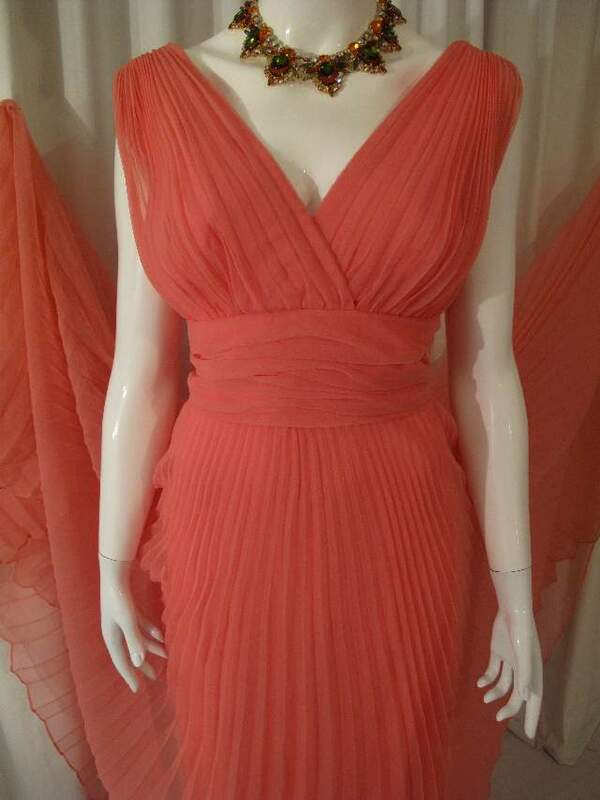 V front and back neckline of fine crystal pleated chiffon from gathered shoulders into deep ruched waist panel. 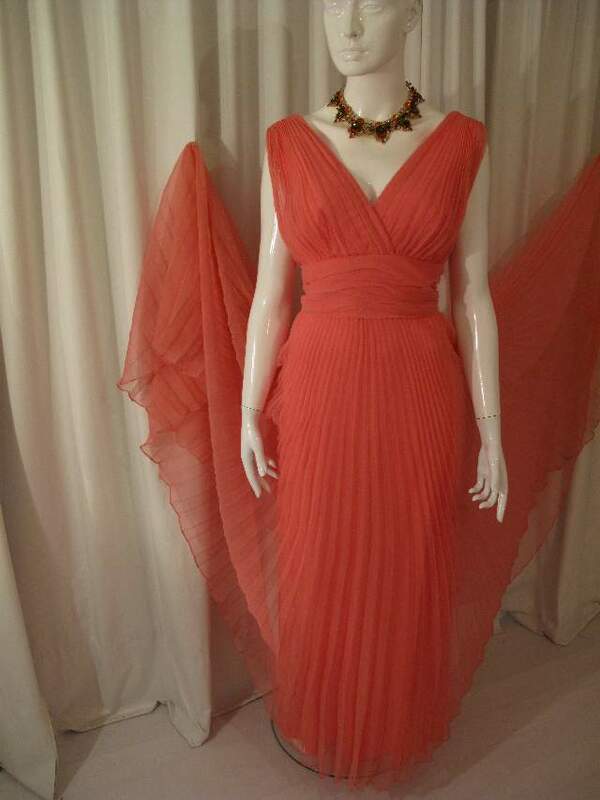 The full skirt is one and half circles of full length, sunray pleated chiffon. It has a back zip fastening and is fully lined.